How to choose the best preschool for your child? Did I get your attention? Let me start by saying that there is no such thing as the “best” preschool. 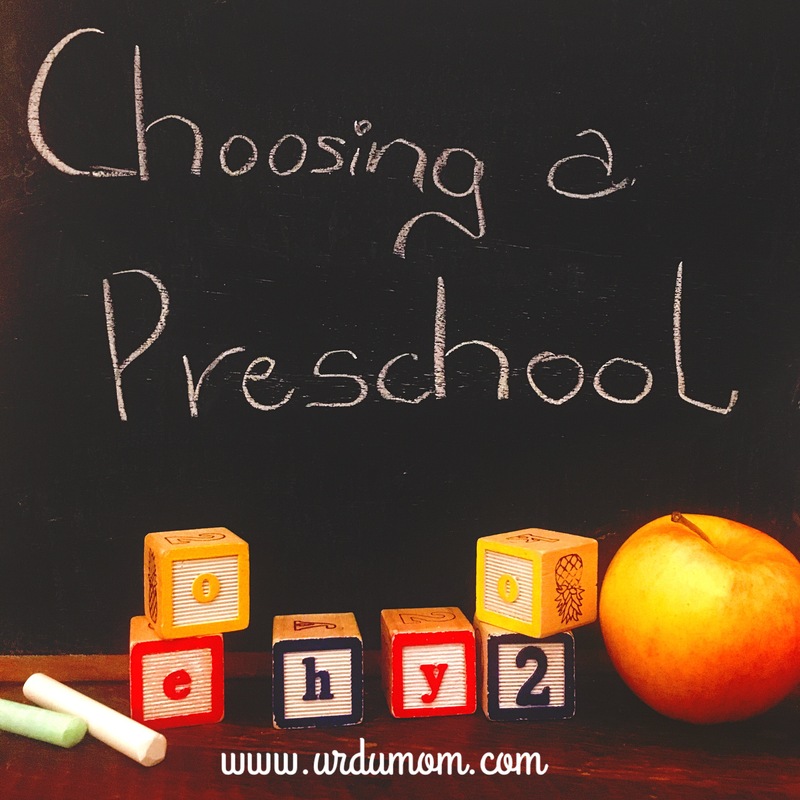 When my daughter turned two I had stressed myself so much about ‘How to choose the best preschool’ for her. I have now learnt that there will be one preschool will be “best” for your family and not a universal one. With that established, let’s discuss the many preschool options out there, a few common misconceptions, differences between different teaching philosophies and tips on how to choose a preschool! This post is general and meant for parents anywhere in the world. However I have added relevant resources for Calgary where ever appropriate. How To Choose the best Preschool: What is preschool? Preschool is a learning environment for children 3 to 5 years old before compulsory education starts. It’s also called nursery or pre-primary in some countries. It’s usually private run, though in some cases it might be government run. In some countries cost of preschool is subsidized for parents. In Alberta, preschool is not mandatory and parents need to pay for it. There is subsidy available for deserving families. Calgary Board of Education offers a few preschool programs for children with learning disabilities. Preschool may follow one of these philosophies: play-based, Montessori, Waldorf, Reggio-Emilia inspired, academic focused, language-immersion, bilingual or a hybrid. In Alberta, children usually start preschool at three years old with two days in the week (tuesday and thursday) and at age four do three days a week (monday, wednesday, fridays). Some preschools offer five day or flexible options also. Is Preschool like Daycare? No! Preschool is offered for specific days in the week and for specific timings unlike daycare that usually matches working hours for parents. Some preschools may have before and after care options to cater for parents who work outside the house but most preschools are for a few hours a few days in the week. Preschool is also closed for summer, spring and winter break along with some professional development days. Unlike daycare or dayhomes that might have a pickup and drop off window, preschools have strict pickup and drop off timings like school. Is Preschool just for parents who stay-at-home? No! The calendar and timings of preschool might make you think that only parents who stay-at-home use it while parents who work outside the house use daycare and day homes till the children reach school age. Parents who work outside the home, combine preschool with a nanny at home or a day home arrangement who do the pick and drop off. This ensures that the child gets socialization and school readiness skills at preschool with before and after care options with a nanny or dayhome. Is Preschool a must? No! Your child can start kindergarten (or junior kindergarten) without ever going to preschool. Parents at home or day care can teach the child the same early literacy skills and help prepare them for school. Philosophy: Preschools differ based on their teaching philosophy: play-based, Montessori, Waldorf, Reggio-Emilia inspired, academic focused, language-immersion, religious environment, bilingual or a hybrid. Administration: Some preschools are run as co-ops where a group of parents manage the running of the school on a volunteer basis. Others are managed by dedicated administrative staff. Co-op preschools tend to be cheaper in price but require dedicated family involvement and volunteering. Days program is offered: Preschools also differ in the days they offer their program in: two, three or five days a week. Some preschools are also full day. Montessori is a child-led approach to education developed by Maria Montessori that emphasizes independence and development of the whole child. Montessori is most popular for preschool (2 1/2 to 6 years old) age however its offered in toddler environments as well as elementary, middle and junior high schools. Some unique aspects of the Montessori environment are mixed ages in the same classroom, freedom to the child to chooses their own “work” (activity), special Montessori teaching material, uninterrupted work cycles (ideally 3 hours) and teacher’s role as a “guide”. Montessori teachers are specially trained and generally more qualified than regular preschool teachers. Classrooms: One Montessori Casa class might have 22 to 28 children with one third of the class in the age group 2 1/2 to 3, one third of the class 4 years old and one third of the class 5 to 6 years old. This multi-age mixing has many benefits. The younger children learn from the older ones who are able to take on a leadership role and teach to the younger ones. The Montessori classroom emphasizes the importance of community and respect for each other. The children learn in the following areas and are free to choose their work: practical life, sensorial area, language, mathematics and culture. Montessori class rooms are beautifully set up with everything in reach of the children, who help to keep the environment clean by sweeping the floor, washing the dishes and wiping the tables. Montessori instills independence in the child as they pick their own work and partners. Parent Involvement: Montessori schools encourage parents to learn more about the philosophy so that they can facilitate their child’s learning by replicating the environment at home and have various parent education nights for this purpose. Parents can usually volunteer outside of the classroom and not inside since only trained Montessori teachers guide the class. Third Year: Montessori encourages the parents to complete the 3-year cycle to gain the maximum benefits from the program (some even have bonds to enforce it). If your child plans to attend a public kindergarten program, they will need to leave the Montessori preschool after year 2 which means they will miss the last year in which they take on a leadership role in the class and according to the philosophy all the learning comes together for the child. Montessori preschools offer the kindergarten program as year 3, which means the child can start public school in grade 1. Some public schools might not have enough space in grade 1, so parents opt for their children to do kindergarten in the public school. Montessori schools and teachers advice against this. But of course practical reasons prevail. Keep this in mind if you choose a Montessori program. 1. Maria Montessori Education Centre (MMEC): has toddler, preschool, elementary and junior high programs along with before and after care on campus centrally located in inner city SW.
2. Calgary Montessori School (CMS): is one of the longest continuously operating Montessori schools in North America (1919 to present). The school is being run by the family’s third generation now who all share a passion for Montessori. They have three preschool locations in Calgary (two in the SW and one in the NW) and have recently started a private elementary school also. 3. Montessori School of Calgary: has a beautiful school building in Cliff Bunglow and offers preschool and elementary (grade 1 to 6) programs. Waldorf preschools focus on creative and imaginative play. They are based on the teaching philosophy of Rudolf Steiner. Children can continue their Waldorf education into the elementary and secondary years. In the preschool years children are encouraged to play, use their imagination and learn practical skills. There is circle time, story telling but no direct academic instruction. Outside play is an important part of the program as are seasonal festivals. Waldorf philosophy discourages the use of electronic devices at home for younger children. Waldorf option in Calgary: Calgary Waldorf School. Reggio Emilia philosophy is a child-led approach that focuses on the “hundred languages” of the child as they learn from their environment and community. Most of the instruction is through projects that children undertake together to better understand concepts. Parents are considered an important part of their child’s education as being their first teachers. There is emphasis on documenting and displaying each child’s art work. Most preschools are Reggio Emilia inspired. Play-based schools emphasize that children learn best through play and choosing activities based on their own interests. Classrooms are divided into various learning centres such as pretend play, books, arts & crafts, drama and play dough etc. Most research on early childhood education supports the play based approach to learning. Some preschools offer a language immersion for children which is a great option for parents wishing to introduce their children to a language. Some preschools offer their programs in a religious environment introducing children to religious concepts as part of the curriculum. Options available might be Islamic, Jewish, Christian etc. Some preschools have more of an academic focus and use direct instruction in teaching concepts to children such as the numbers, alphabets, days of the week etc. Cooperative preschools are run on a voluntary basis by a group of parents and require extensive parental involvement in the running of the school and learning by the students. These schools are great for parents who wish to be closely involved in their child’s education. Some preschools take a couple of options available and combine them in their program. For example, Montessori with language immersion, Reggio Emilia and Montessori inspired, A cooperative play-based school etc. Calgary Hybrid Preschools: Brite Studio is a good example of a hybrid preschool program offered in the city. The cost of preschool varies from $150 to $550 per month depending upon the number of days the program is offered. Before/After care and other care needs are on top of this expense. There is also a one time registration fee. There is subsidy and waivers available for deserving families based on local laws. Details of Alberta’s Child Care Subsidy here. Some preschoools provide a healthy snack to children while others ask parents to send a snack with their child. Preschools are generally nut-free environments due to allergies. In choosing a preschool do consider which one will be best for your child. Will they benefit more in a play-based environment or a more structured one? Is the child-led learning approach of Montessori a better fit for their personality or the imaginative one of Waldorf? In the end you are the best judge and advocate of your child’s needs. Which preschool program best fits your family in terms of timing, cost, volunteering needs, child care arrangements and distance from home. Choose one which is convenient for the entire family. If you have other children at home, you have to consider their school schedules also. Most preschools have morning and afternoon half day options. Morning programs are more popular since some children are still napping in the afternoon at 3 years and learn better in the morning. However there are benefits to the afternoon program also since generally there are less students in the afternoon program and children benefit from more teacher attention. Also the teachers have better command over the daily lesson since they have gone over it in the morning. Sometimes there is no choice between morning or afternoon due to availability or the school timings of another child. This is an important consideration because you will be going through this every day of preschool. Is parking convenient or a hassle? How far is the drop off location from where you can park? Do you need to drop off the child at the door or take them inside to the classroom? If you have other young children with you, all these become important logistical considerations, especially in extreme weather conditions. Student-Teacher ratios are a good indicator of the quality of attention your child will receive. However some programs like Montessori have intentionally few adults per child in the classroom to encourage independence in children. What are your expectations from your child’s preschool? Your child’s preschool becomes a regular part of your life also. Would you like to be more involved in your child’s classroom? Some preschools encourage parents inside the classroom whereas other do not. Does the preschool celebrate events like concerts, birthdays and Mother’s Day Tea that are important to you? Most preschools share their calendars with the parents in advance and share what events will happen over the year. Is it important for you to have a strong parent community at the preschool? Does the preschool encourage community development at the school? Usually if there is a playground near the preschool that becomes a natural gathering spots for parents after pickup. Some preschools are part of busy commercial centres and parents do not have a space to pause and chat at pick up and drop off. Preschools have Open Houses for interested parents. This is a great opportunity to meet the staff and get a look around the building. Ask about class sizes and student-teacher ratios. Have a peak inside the classroom. Can you see your child thriving there? Most preschools will also be happy to give prospective parents a tour of the school. Other parents who have children attending the preschool are great sources of information. Do remember that everyone’s experience is based on their unique circumstances so filter all information with that perspective. If you do not know any families who are attending the preschool, ask on your neighborhood facebook groups. You can also search previous threads. The preschool website is also a great source to gather information about the programs, policies and school philosophy. Most preschool programs are licensed and licensing needs require inspections and reporting of any incident at the school. You can view these records to see any non-compliance or complaints. For Alberta you can use this link. Visit the school at a regular pickup or drop off time and see how busy it is. Is it manageable for you? Do you see your child in this environment and at this school? Your own gut feel will guide you best on which preschool to choose. How did you feel inside the school? Can you see your child happy and thriving there? Don’t underestimate your own gut feel. Most preschools start registration for September sessions starting in January. Popular programs have wait lists. Some preschools will take students during the term also. Usually afternoon sessions have availability throughout the year. Hope these tips helped you and you have found the answer to your question of “how to choose the best preschool”. Would love to answer any questions you have! Thank you again for all the information on preschool and how to choose the right one for your child. One thing that stood out to me was that you should never think of preschool like daycare, but you should prepare your children to be taught and to learn. My wife is pregnant, and so we are trying to learn as much as we can about schooling so that we can help our kids become educated. Thanks again! This is so informative, even for families who are not in Canada i.e. for general purposes also when considering choosing a school. Thank you for this research based post.